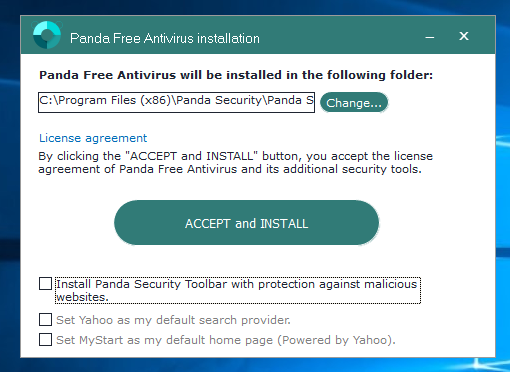 After an extensive search for a free antivirus that can really protect my system, I found Panda 2016 to be quite impressive in its first look, with all the features and promises it came up with. I was looking for a real-time stuff that can safeguard my computer against every possible incoming threats, can work on multiple scanning modes, includes a sound quarantine manager, and should also have a good amount of extra components that can suffice for a total protection to the computer in totality. Surprisingly these all components were boasted aloud in Panda 2016 version and I tried it myself to solve many issues I was troubled with. At it supports Windows, so does it to the Android, Mac and iOS devices. The Internet Security of this application is a component of a line-up especially for the AV solutions from the house of Panda Security, and here each and every tool is improvised with better features than they were in their previous versions. The Panda Free Antivirus 2016 has addressed almost every sorts of troubles that the computer can be threatened with and protects it from every kinds of malware detected till date. On the Windows systems, it works with an USB protection module, uses a monitor to perform the active processes, and also has a rescue kit that is capable of creating multiple bootable USB drives. The best part of it is that it is free for all. The Panda Antivirus Pro 2016 version has added up a virtual keyboard in order to maintain the personal information safe from the keyloggers and other possible hijackers. It creates an anti-phishing element to block those fraudulent websites, and also the wireless network protection to create a protective wall against the intruders, as well as working like a firewall, for the application controls. You get that right now at a price of $32.99 excluding VAT. The Panda Internet Security 2016 is packed with a parental control feature as well to restrict inappropriate content, that comes with an online backup system through Mozy but you require an account for it and unfortunately this feature doesn't come free. You get it at $38.49 excluding VAT. The Panda Global Protection 2016 including all the above said features has also thought about a PC tuneup utility that can remove junk files entirely from your system and especially from the Internet Explorer. Along with a startup manager, and an anti-theft component which can locate the lost or even stolen devices through a Panda account, the password manager and the data shredder, with a 20GB cloud drive creates a backup for all the contacts you want to save. But again this facility can be availed only by the Gold members and now available at $46.19 excluding VAT. The latest 2016 version of Panda Internet Security wears a completely new look that goes well with the current Windows 10. The application window appears with a white background with different shades of blues used in the tiles. You can also choose for the customization mode removing most of these tiles if that is not your preference, and you can also change the sequence of those tiles by simply dragging-and-dropping them, or go on adding new ones. It has a great resemblance with the look and appearance of Windows, and so you get the same kind of tool lists in the Start menu that you are used to get in Windows. The main window is the place for checking out the total number of scanned files, there itself you get to see the items queued up for the quarantine, and also the list of threats that were detected and blocked. You get three scan modes here, the full mode used for all the hard disks, the quick mode for the sensitive areas, and the custom mode where you can select the places of your choice. All of them can be scheduled to be run on daily, weekly or monthly basis. There is this process monitor which displays the processes which are going on in the running applications, the total amount of the executed processes, and those elements that are accessing the Internet, including the blocked ones, with medium or high threat levels. The USB protection component on the other hand keep a check on the USB ports, identifying every new devices, that are connected to it and prevents them from being run through the autoplay feature, which is typical sign of virus infection. It isn't only a tool for the USB removable drives but even for the CDs and DVDs that are played on the system. The Panda gives out a notification on that new device every information regarding the detection and prompts to scan them. Moreover, it just disables the autorun.inf types of files on the removable devices permanently and prevents it from being accessed, read, modified or being deleted. To block every possible infections that can harm the computer through this autoplay Panda goes through an auto-performance action for each and every USB drive which are inserted in the PC. What more? You can also disable the scan suggestions or the entire USB protection module when you don't require it. The Data shield feature in the Panda 2016 is a security option that can protect the specific data from any program which is trying to access it, and thus it allows the user to manage all the permissions for all those specific applications. It keeps defending the Documents folder that contains Office documents, images, audio and video files and protects them by default. However, there is an option available to remove the folders from the list and then add the custom ones, and also edit those file extensions which are marked by each of the existing groups or one can also choose to create new groups with their choice of customized file formats to protect them. 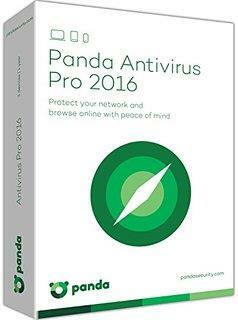 Panda 2016 version is equally useful for Windows, Mac, Android and iOS devices. The new interface goes really well with the Windows 10 with that impressive look and with all its options which are easily accessible. Any module which the user do not wish to use can be disabled and the tiles are made removable to keep the console fully customized. Features like parental control and firewall passed the tests smoothly. The data shield was quite responsive whenever any unknown programs made an attempt to access the folders. A well-comprehensive help manual is in place to guide the new users through the different functionality it has. Panda doesn't give you the options for allowing or denying the access. We observed few phishing components going missing in the safe browsing application. Though the real-time guard has been enabled when Panda was not on the active mode, the other applications running at that time were suffering a slower response time while tested on the Windows 10 and also on the Windows 7. The other caveat was that one cannot create, edit or delete any categories that are included in the parental control. To sum up, Panda Internet Security 2016 version is more focused more on the appearance and the extra security features didn't match the appearance in maintaining speed while providing an effective anti-malware protection. But it has definitely incorporated a host of improvements with new features that raises the hope that this issue of a speedy application will also be in place in the coming versions.